wtf, Ring-Tail!?. This was from the clip on Nick. Skipper looks like he's freaked out द्वारा Julien. :). Wallpaper and background images in the पेंग्विन्स ऑफ मॅडगास्कर club. Where could I get a Skipper for the next party? WHAT THE HELL HAPPENED TO SKIPPER? He looks so cuuuute! ^w^ I want a ball like that, really. Skipper! Lay off the peanut butter winkies. You're becoming obese. I wonder: Would a needle help Skipper's situation by deflating him or make it worse by popping the poor penguin? Not that Skipper would want to be poked with a needle anyway, mind you, but I still wonder. ^Ha! I don't think that would work- he'd judo you before you could even try. I understand how Skipper can be stressed, that makes him blow up like a ballon, with Julien. I wonder if he gets stressed around anyone else. 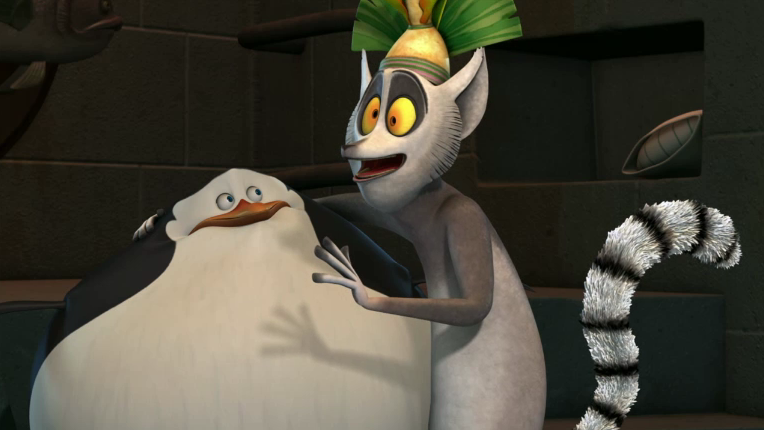 Something tells me that King Julian is going to make skipper inflate even bigger than that seeing how much of a constant pain King Julian is. 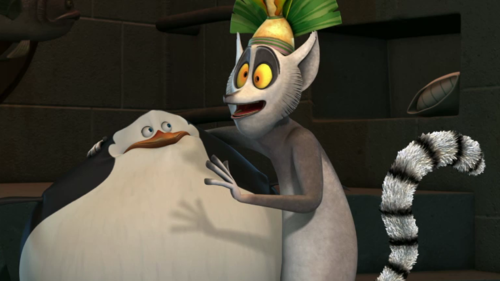 I actually hope King Julian gets a taste of his own medicine by the end of this episode because he surely deserves it. I have nothing against Julian but let's face it, Julian is a selfish,irritating pea brain. SKIPPER!?!? O_O D: Oh Noooo! Ha! Now look who's talking about who is fat!